ELECTIONS have come and gone in Zimbabwe and the new Cabinet is now in place, both Parliament and Senate are now in their respective houses, with the President also now in office. What Zimbabweans are waiting for is to come out of the quagmire and inhuman conditions of poverty and hunger they are in now. The persistent cash crisis, high levels of unemployment and the recent increases in prices are some of the variables the general population is waiting to see vanishing in the shortest time possible in order for Zimbabwe to be a good place to stay in. One can ask questions how can the Zimbabwean government and the newly-appointed Cabinet achieve meaningful progress within a short space of time? Firstly, the government must stop any reckless spending, the persistent budget deficits, must be stories of the past. 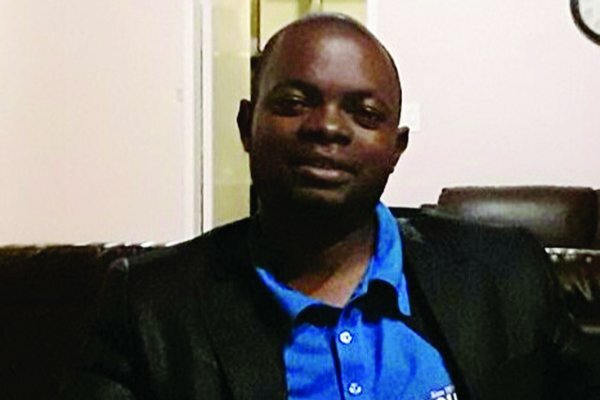 The government should come up with austerity measures so as to streamline the ballooning government recurrent expenditure and focus more on capital expenditure, such as the construction of new roads, dams for irrigation, construction and repairing of railways so that in the long run, the economy will become stable. Infrastructure development is a necessity in Zimbabwe. Zimbabwe is in a 20-year deficit in terms of improvement in infrastructure and technological advancement. According to the Finance ministry, actual expenditure outturn in the first quarter of 2018 was $1,385 billion against a target $1,112 million. A budget deficit of $273,2 million was recorded and was financed largely through domestic borrowing. This level of budget deficit is not sustainable for any economy and to make matters worse, it is financed through domestic borrowing, putting pressure on firms which may want the same money for investment. In addition, of the $1,385 expenditure, $1,102 billion (79,6%) was on recurrent expenditure, while $283 million (20,44%) was on capital expenditure. Employment costs constituted 60,4% of total expenditure and 75,9% of recurrent expenditure. In 2017, employment costs were 66,5% of total expenditure and 79,6% of recurrent expenditure was recorded during the first quarter. In the first quarter of 2017, total expenditure was $1,052 billion ($879 million or 83,5% recurrent expenditure and $166 million or 15,8% capital expenditure) and the budget deficit was $182,8 million. The share of employment costs to total expenditures must decline to give a ray of hope to the private sector to reduce the crowding out effect, especially when the government borrows from the domestic market. The employment expenditure must fall to reduce the crowding out effect on other non-wage capital and social spending, key for stimulating growth and reducing poverty. The 2018 budget appropriated $3,3 billion for employment costs, with $2,6 billion being set aside for the public service wage bill, inclusive of grant-aided institutions. This is not sustainable if the economy is to develop. Employment costs are, however, highly likely to surpass the budgeted $3,27 billion because the government bowed down to pressure from the health practitioners and the rest of the civil service who were promised wage increases before elections. The government offered the rest of the civil servants a 15% salary increment as part of efforts to improve their conditions of service with effect from July 1, 2018. These type of spending should not be named in the new government so that the economy will register meaningful growth in medium to short-term period. The second important factor for Zimbabwe to pool ahead is for the authorities to do away with corruption. Corruption in Zimbabwe is like a cancer. Transparency, accountability and responsibility must rule in the various ministries. Partisan awarding of tenders in line with ethnic and political affiliations and connections must stop. Every arm of government must uphold good corporate governance systems and ethics if results are to be registered in Zimbabwe. Corruption in Zimbabwe has become endemic within the political, private and civil sectors. Zimbabwe ranks joint 154th out of 176 countries in the 2016 Transparency International Corruption Perceptions Index. According to Transparency International, the most forms of corruption affecting Zimbabwe are political corruption, private and public sector collusion, grand corruption and misuse of State resources as well as petty and bureaucratic corruption. Separation of party politics from government business is also key. In Zimbabwe, it is very difficult to separate party politics from government business. In most cases, the ministers are appointed, but they are there just to rubber-stamp the needs and aspirations of the ruling party. In many occasions, ministers do not have the power as decisions seem to be made by the highest decision-making bodies, for instance, a political party. Ministers must be given room and freedom to exercise their knowledge and ability in trying to turn around the economy. Economics must lead and politics follow wherever necessary. National healing and reconciliation between the various political parties is important in Zimbabwe. No political party should act as an enemy of the State. No one should just standby, everyone must be involved in building the nation. It is the duty of the government to ensure that all stakeholders have the same vision and objectives. Starting from the cell up to national level, people must share the same vision and objective. The post Reckless spending, corruption can hinder new Cabinet fortunes appeared first on NewsDay Zimbabwe.